Whitbread PLC is the UK's largest hotel and restaurant company operating market-leading businesses in the budget hotels and restaurant sectors. They wanted the ability to provide the highest level of PCI compliant infrastructure that was able to scale up. Whitbread's brands include Premier Inn, Beefeater, Table Table, Brewers Fayre, Taybarns and Costa Coffee. Award-winning Premier Inn is the UK's largest and fastest-growing hotel brand with 600 budget hotels and more than 48,000 rooms across the UK and Ireland.Crucial to Whitbread's growth plans and delivering outstanding service was the ability to provide the highest level of PCI compliant infrastructure that was able to scale up. They began looking for a provider that could provide a service that would enable customers to book and cancel rooms at any Premier Inn hotel throughout the UK. In addition, Whitbread wanted to offer their customers the ability to book and pay over the phone through a contact centre agent to ensure a high level of customer service. Eckoh provided a fully PCI DSS compliant speech enabled reservations and cancellations service to Whitbread's hotel brand, Premier Inn. The service provides Premier Inn customers with the ability to book and cancel rooms at any Premier Inn hotel throughout the UK. More recently, CallGuard Hosted was added to the service and enables customers to provide card payment details to a contact centre agent securely over the phone without those details being heard or transferred into the contact centre environment. This enables Whitbread to more easily comply with PCI DSS as well as reducing the risk of fraud and providing a more reassuring process for their customers. By using Eckoh as their PCI DSS compliant service provider, Whitbread will be able to implement a more cost effective solution whilst continuing to expand the booking and payment services within the Customer Contact Centre. 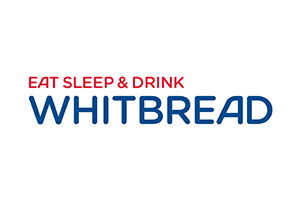 Siobhan Fagan, Head of Customer and Business Systems at Whitbread, said, "We have been working with Eckoh for some time now and we're extremely happy with the service they provide. Following the successful implementation of the Premier Inn automated booking service the next phase was to enable our customers to make safe, secure payments over the phone with an agent. In addition, we wanted to improve the management of our non-geographic numbers to overcome the complexities of operating and reporting on such a large volume of inbound phone numbers. Eckoh brings a great deal of expertise in the complex area of PCI DSS compliance and network management and as a trusted supplier they were the natural choice for us."